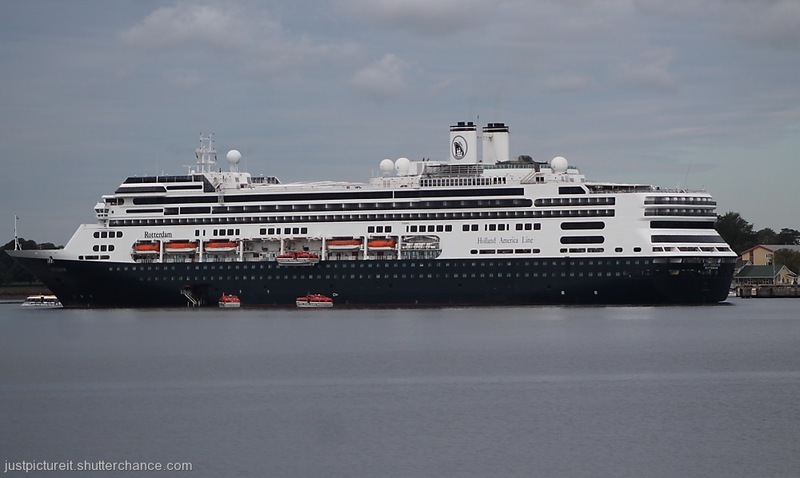 On the second of October there was a record set in Charlottetown Harbour with four cruise ships calling in. I recorded here before when the previous record was set as well. The last boat shown was quite far out on my left and could have been seen better from some other points of land than my POV. 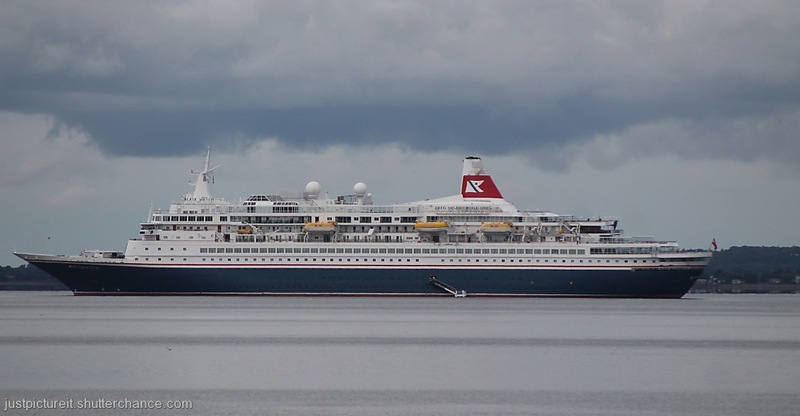 The combined ships carried 8200 passengers and over 3000 staff. I stayed on the other side, across the river and avoided the crowds of people on the other side. Ils sont immenses, trop grands pour moi. Goodness... do they not create turbulence for each other getting so close, like that? Mary MacADNski: They arrive and leave at different times. It was a convention!! Amazing. Mary MacADNski: The same time next week, they had to cancel because of heavy seas. We have had a lot of wind this month. Mary MacADNski: All kinds of small boats check them out. I have lots of photos of that. Just like being in a city..
Mary MacADNski: I was certainly glad not to have had to cross the bridge into town. There are busses, tour cars, horse carriages and thousands of pedestrians everywhere. Mary MacADNski: Not at all for people who make their living catering to them. Mary MacADNski: The same time on the next week, they had to cancel because of heavy seas. We have had a lot of wind this month. Mary MacADNski: Where I worked until recently, people passed the house in droves every day on walking tours. Cities of the sea, it all looks dreadful from this perspective Astrid. The rise in popularity of cruises is amazing. Mary MacADNski: More of them m means more money to companies all along the string. Tourism is a good thing here. Not Astrid of course, silly me. What a plenty of cruises and visitors! It is a real problem for the towns or cities. In Barcelona we saw a sign with the advice "Tourists, go home!" Mary MacADNski: That would be too rude for a true CDN to write. Mary MacADNski: I know. I stayed out. Goodness! Do they all disembark at the same time? Mary MacADNski: No. They are all scheduled for staggered arrivals and departures. A lot of buses were lined up at the docks. They are fine looking vessels, especially the smaller ones in pictures two and three but how on earth do the people of Charlottetown deal with all those people landing at the same time? Mary MacADNski: Tours of all kinds by buses, 15 seater vans and everything in between take care of those who leave the city for the beaches and many tourist attractions. In the city there are lots and lots of pedestrians and horse drawn carriages, taxis, and again buses. These cruise ships are really special. I don't think I will ever go on one, though. Like being locked up in a hotel for a number of days. Doesn't take away that they have great looks. Mary MacADNski: I would love to go on one. Goodness; how awful would be fore the real tourists is this lot descended on the small towns. Mary MacADNski: A lot of the people board buses for tours - lighthouses, beaches, culinary events, scenic areas, historic times, and the like. Mary MacADNski: Tiny Fish for Japan is one of my favorite songs of his and that was the alternative song. Give it a listen. i bet they would have set the cash registers ringing, assuming they set foot ashore, Mary. Mary MacADNski: You bet! It would be impossible to find a table downtown at lunchtime.